Supreme Court of Canada reinforces corporate impunity by protecting Chevron's Canadian assets. Ecuadorians maintain the right to enforce the judgment in Canada. 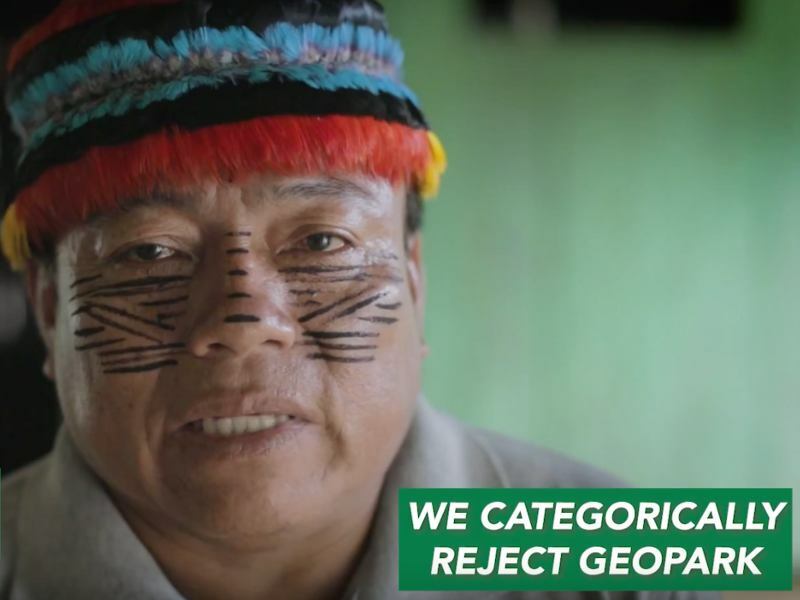 In the remote, roadless rainforest territories along the border between Ecuador and Peru, over a dozen indigenous nationalities have launched an initiative to permanently protect about 60 million acres from industrial extraction and stop the drivers of deforestation. 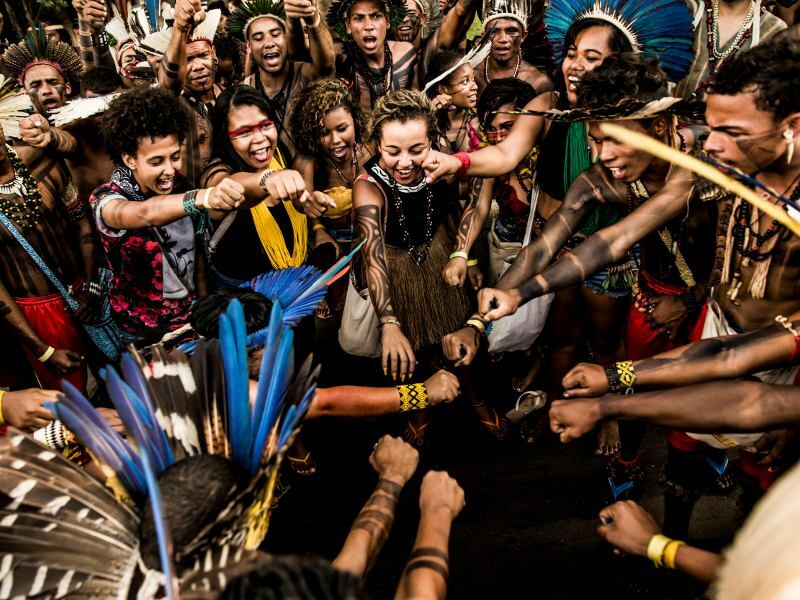 Dubbed the Amazon Sacred Headwaters, the initiative seeks to present a united front against the pressures on these indigenous territories and address climate change by keeping forests standing and fossil fuels in the ground. "TFS could allow oil refiners, which are purchasing oil from Ecuador to turn around and buy offset credits from the same regions in Ecuador that have been devastated by oil drilling," said Zoe Cina-Sklar of advocacy group Amazon Watch. Instead of carbon trading, California should curb Amazon crude imports and take immediate measures to wean itself off fossil fuels, such as freezing new oil and gas permits in the state, she added. It Doesn't Matter If Ecuador Can Afford This Dam. China Still Gets Paid. A giant dam was supposed to help lift Ecuador out of poverty. Instead, it's part of a national scandal, and a future tethered to China. To settle the bill, China gets to keep 80 percent of Ecuador's most valuable export – oil – because many of the contracts are repaid in petroleum, not dollars. Pumping enough oil to repay China has become such an imperative for Ecuador that it is drilling deeper in the Amazon, threatening more deforestation. Good News for Yasuní Park and Indigenous Rights! Last week, Ecuador's Energy Minister, Carlos Pérez García, announced that – at least for now – the government will not pursue oil drilling in the "buffer zone" protected areas of Yasuní National Park, reversing plans revealed last month in a leaked draft decree. This is an important victory for our collective work to keep fossil fuels in the ground from California to the Amazon! For decades, oil companies have taken advantage of the resource-rich land of the western Amazon, violating the basic human rights of the indigenous people while simultaneously inflicting harm and destroying the beautiful rainforest. Indigenous communities have responded with powerful messages, defending their land at all costs. 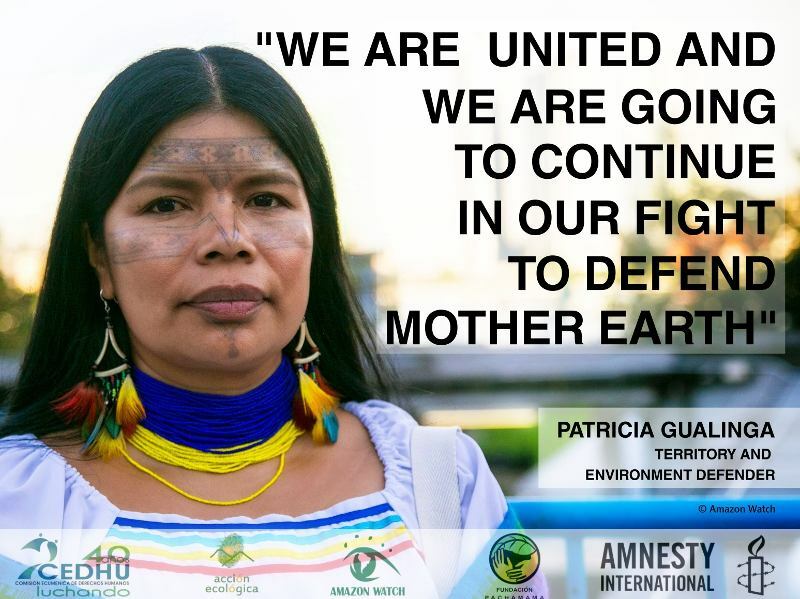 At the forefront of this ongoing battle are the strong, resilient indigenous women Earth Defenders.